This too is an excellent write up, as always. I had never heard of C.S. Maniam since I became a Bahai in 1975. It is simply unbelievable that within Malaysia we have had such a great soul who was willing to go to this extent of sacrificing his entire life for the Faith. I could have had some regrets in life. But today, after reading the story of C.S. Maniam I can say with all humility and sincerity that not having met this star-servant of the Cause would be the biggest regret in my life. Bahaullah has given the gift of the penmanship and good memory. May Bahaullah bless you with good health so that believers like me could read all your historical write up through this blog, and through the several books you are already be writing. Thank you for this good write up. 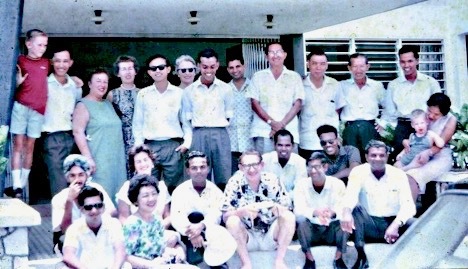 As for the photo taken with S.Vasudevan I wish to add that the person sitting on the right of S. Vasudevan is Lye Chye Thiam, who was in the same class as Choo Yoke Boon. Lye Chye Thiam graduated from Technical college of Kuala Lumpur and started working, but passed away a few years due to some illness. He is the uncle of Lye Seok Luan who’s married to James Liew now residing in Petaling Jaya. Thank you Mani for sharing such an excellent, heart touching and inspiring write up. As I read the story I simply could not control the tears flowing from my eyes. Such a devoted, dedicated and well loved personality has left a deep inspiration in all of us. I have met Maniam on a few occassions. He had come to meet my husband Inbum at our home in Setapak after we moved into Kuala Lumpur. It must be in 1969 and 1970. It is only after reading the write up on the life of Maniam, that I have got a clearer picture of his Bahai life and services and what a great person he was. He truly was exemplary to all of us. I also read the comments written by the friends about Maniam. From their comments, I can conclude what a great Bahai dear Maniam was. It appears that not many in the current generation know him, since he passed away 48 years ago. You have brought him back to life through your write up. Now I really feel so sad that I didn’t get to know Maniam better. But he certainly has left an excellent impression in the minds of all those friends who had known him or served the Faith with him. I am truly surprised that we did have a descendant of the Dawn Breakers in our own midst in the form of Maniam. God bless his soul forever. Will remember him in my daily prayers that God will bless him throughout all His Spiritual Realms. You have truly taken me down the memory lane- events that took place some 50 years ago. I remember the Asli teaching we undertook in those days and the passing of Maniam. But you have covered every inch of what had happened during those days. You have indeed reconstructed the events and made them unfold once again through your time machine which is this blog. You have covered all aspects of Maniam’s Baha’i life in Batang Kali town and the jungles. You have gone very detail on Maniam and the friends who were close to him especially the staff of the national Bahai center in Setapak, Kuala Lumpur, youths of Setapak area, Asli travel teachers and the Asli National Committee members. Maniam used to carry with him the proclamation pamphlet called the BAHAI FAITH which was his teaching weapon. Whenever he met someone he would give out the pamphlets. He was also known as Big Eye Maniam and Batang Kali Maniam. After each of my Asli trips I used to stop over in his place for a night or two to be in his company that would enhance my spirit. His hospitality was simply beyond words. He would never allow me to take a bus back to Kuala Lumpur, however much I insisted. He would take me in his motorcycle to the national Bahai center and return home late night. Just read your story on C.S. Maniam. It was indeed very moving. Big Eyed Maniam as he was also known was truly a great soul. These kind of people do not belong in our normal world. And we do not see such kind of sacrifices these days. These are souls that have many lessons to teach us. I had known C.S. Maniam from the time he accepted the Faith in Seremban town. Maniam was a wonderful person and my wife Ruby’s most favorite young Baha’i. 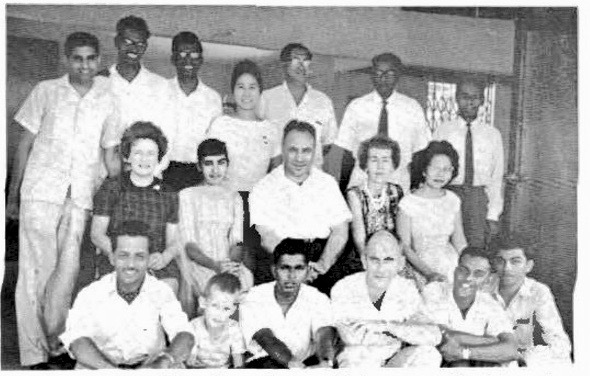 He was a regular and most welcome friend in our home in Petaling Jaya in the early sixties. His life story is most inspiring and truly reflect his personality as a selfless teacher of the Baha’i Faith in Malaysia. You have posted a story on C.S. Maniam, whom I knew very well as he too hails from my hometown of Seremban. I knew him when we were still youth. It is too fortunate that my eyesight is not good. It was Jenny, my beloved wife who read out the story. As she read the story I could only sob and sob for a dear believer who had sacrificed his life for the Cause we all love. Mani, you have written such a beautiful and touching story of Maniam. It’s back to memory lane of the 1960s. Maniam was a devoted servant of Baha’u’llah, actively attending deepening sessions and carrying out intensive teaching work. I pray for his soul rest to rest in eternal peace. Yesterday I read your story on C.S. Maniam. It was a very touching story of his life as a true and sincere Baha’i. It is so nice to be reconnected with historical happenings of the early days. I had never met Maniam as I was not present at the conferences that he attended. But I am pretty sure my three elder brothers- Pijush Kanti Paul, Mirinal Kanti Paul and Tushar Kanti-Paul met him, as they actively participated in conferences in those days. 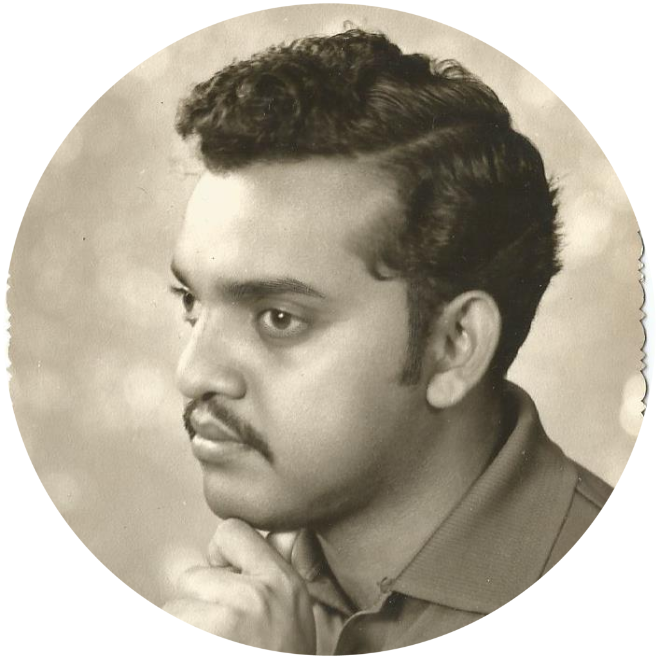 You have penned an inspiring recollection of uncle C.S.Maniam. His steadfastness in the Faith, amidst the challenges he had faced, was truly incredible. His sincere hospitality and generosity that he extended to his friends, I could imagine was carried out with immense sincerity and joy that radiated from his heart. His enthusiasm and obsession for teaching the Faith clearly depicts the love he had for the Faith. I was very touched and moved to tears while reading the sincere dedication of this early believer in our country, whom I had never met or seen. But today he lives in history. You have also brought to the fore the sacrifices of several believers of yester-years in this community. They all would continue to remain my own mentors through the unparalleled examples they had set. They are the true heroes indeed. I had the good fortune of meeting C.S. 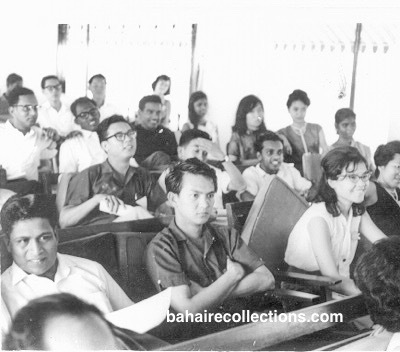 Maniam during some national events in the late 1960s. I am glad that this valiant soul’s sacrificial dedication to his Beloved has been captured beautifully in this narrative. May his life inspire current and future generations of Malaysians to arise to serve the Cause of God. Thanks Mani for helping us to recollect and remember this unsung hero. I went through your story on C.S.Maniam. I am most touched by his exemplary dedication for the Cause we all love and serve. I have never seen him in person. But I was there at the Oceanic Conference of the South China Seas in Singapore where I heard of his sacrifices during the special session allocated to honor him. Admittedly, this kind of spirit is laudable indeed. I shall remember him in my prayers. I have known C.S. Maniam, that soul that was pure-hearted and totally devoted to the service of the Cause since 1965 when I visited Serrmban and Kuala Lumpur. Later I had met him at other places especially at Summer Schools. I take this opportunity to express my heartiest thanks to dear Manisegaran for penning this article about Maniam, who seems to have become truly an unsung hero. Thanks to you Manisegaran for keeping him alive in history. The selfless services and sincere love that C.S. Maniam showed in action to all those who crossed his path are simply astonishing and exemplary. I loved to hear the stories of his teaching in the aboriginal villages. How much I wished I had joined him in those trips. Maniam and I did talk once about that possibility. But somehow the timing did not work out and this wish never materialized. I remember going to the Asli villages once with the late Choo Yoke Boon and Issac de’ Cruz where I learned a lot, yet the inability to have. gone into the jungles with Maniam is still sorely hurting me. I offer my humble prayer for the further progress of his radiant soul in the Abha Kingdom. I am really touched by the story of C.S. Maniam that you have written. Maniam must have been so touched and moved by the Writings of Bahaullah to have spent almost all the days of his life serving the Faith. It is an inspiration and a privilege to read the sacrifices of such a dedicated soul who not only espoused the teachings, but tried to live a life dedicated to the Baha’i principles. We can only imagine the physical harsh environment one had to undergo when trying to bring the Faith to the aboriginal people, and Maniam did it with such devotion and perseverance. He is truly a pride of the Malaysian Bahais, and an example for all of us to follow. May his soul continue to progress and may his life be an eternal inspiration for us all. Thank you, Mani, for keeping Maniam’s exemplary and sacrificial life alive so that he continues to remind us of our duties as Baha’is. What a great recollection on our great C.S. Maniam whom I knew very well. I had known him in the early days when he had just accepted the Faith in Seremban. I used to meet him at several conferences that he seldom missed. But when I moved into the National Bahai Center in 1966 as Secretary of the National Spiritual Assembly I used to meet him often. Maniam would come to the national Bahai center almost every weekend. What surprised me most was he coming almost daily during the fasting month- all the way from his northern town of Batang Kali to start the fast with a good breakfast with me. He would then ride back all the way to his school about 30 miles away. That would mean Maniam would wake up at 5 at dawn in Batang Kali and ride on his motorcycle to be with me in Kuala Lumpur at 6 in the morning. Seldom I had seen such a dedicated servant of Bahaullah, well captured in your very moving story. Maniam was full of dedication and enthusiasm. He loved to listen to the stories on the Hands of the Cause of God. Each time I mentioned anecdotes on Hands of the Cause, his face would simply glow. He loved the writings so much. He was so devoted and humble and radiant. He was embodiment of humility and radiance put together. I left for pioneering to India in 1967. Next I heard he had passed away. I was very devastated, and spent a few days recollecting the days he spent with me. Your story has bring his life to a full meaning. My wife Sitarah and I had good time discussing about his meaningful life, of whom you had very rightly labelled as UNSUNG HERO. I am sure there are several other hidden heroes and heroines who deserve such write up. Keep writing Manisegaran, while God has given you this gift of the pen to make old timers like me travel through the time machine to those early days. May Bahaullah bless you in abundance! It has been a practice that I read your postings in the blog at least every other day. This particular recollections of Mr. C. S. Maniam were really touching and heart rending. 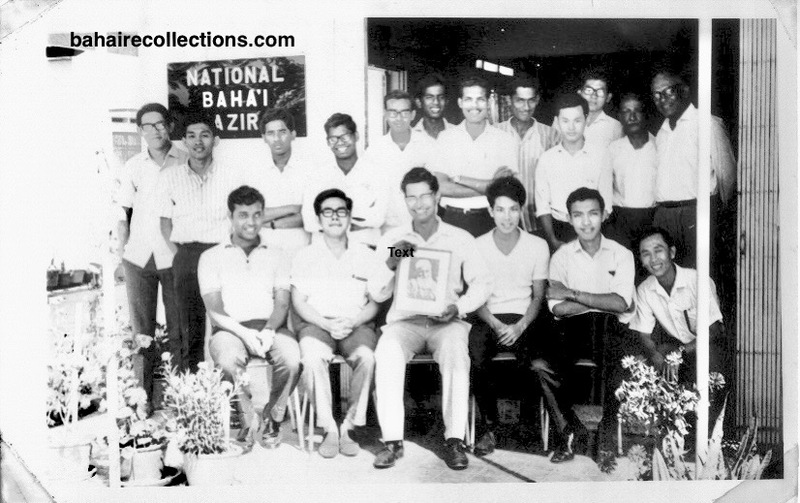 He was not only the first to have laid his life in the path of service in Malaysia but winged his flight to the Abhá Kingdom at a tender age of thirty and was regarded as a descendant of the Dawn-Breakers in the history of the Faith in Malaysia. I have never known him as I was only one year and six months old then. Your recollections on him, however, has highlighted a clearer picture of his exemplary Bahá’í life for the present and the future generation to emulate. It was indeed unfortunate and sad that with the cremation of his earthly remains, nothing remained of him, except the meritorious services he had rendered! “Ben, this would be my last trip and others have to bear the torch. I am too old and do not have the energy I had before.” The historical Oceanic Conference of the South China Seas held in Singapore, I am sure was a significant platform that many arose to proclaim the Healing Message of Bahá’u’lláh including beyond the borders and to “bear the torch” meant by him. My humble prayers for the further progress of his radiant soul in the Eternal Realm. Thank you for giving us yet another remarkable recollection.